The AllClip + Wide-Angle & Macro Lens from bitplay is a manufacturer's kit that combines their AllClip and Wide-Angle Lens. 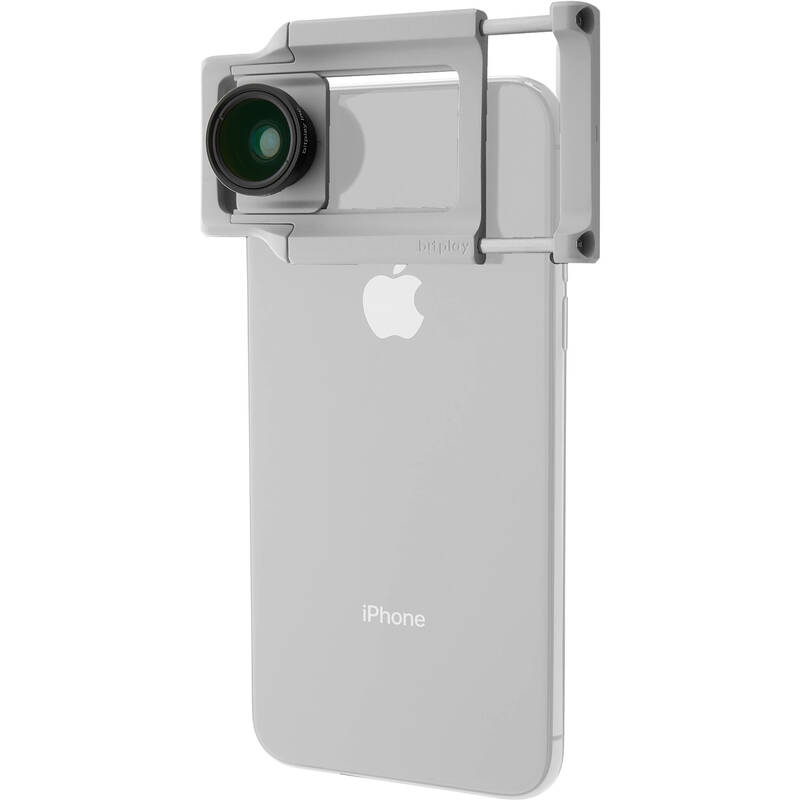 The AllCip is compatible with smartphones 2.3 to 3.2" wide and can be installed on both the front and rear cameras of most devices. Compatible with bitplay's extensive series of lenses, including the bundled Wide-Angle Lens, simply clamp the AllClip onto your phone, attach a bitplay lens, and shoot. With the included Wide-Angle Lens, which also serves as a macro lens, users can begin shooting immediately. The wide-angle aspect of this lens provides a magnification of 0.68x and a minimum focusing distance of 0.9", while the macro aspect provides a magnification of 15x and a minimum focusing distance of 0.6". This lens is constructed using two elements in two groups. The AllClip is compatible with most smartphones that have a width ranging from 2.3 to 3.2". It can be installed on both the front and back camera of most smartphones, including Apple iPhones ranging as far back as iPhone 4, to the majority of the Android phones available on the market. bitplay has an extensive collections of lenses for mobile photography, including 8 add-on lenses and 3 filter lenses. From the Premium HD Wide-Angle Lens that captures twice as much ground, to the Premium HD Macro Lens used for capturing the fine details unseen by standard mobile cameras, you can raise your mobile photography experience to the next level. Your phone's screen is not blocked by bitplay's AllClip when used in conjunction with your smartphone's rear camera. This means anyone can manually focus their shot on the fly, adjust image proportions, and operate multiple applications mid-shot. The AllClip offers clarity and precision to each photo, delivering results and bringing users an improved mobile photo experience. The outer surface of the AllClip is made with a durable and scratch-proof design. Combined with a soft, silicon inner lining, the AllClip is a comprehensive tool for your smartphone. The intuitive sliding design of the AllClip allows it to work with most smartphones regardless of their camera's position. The alignment between your bitplay lens and your phone's camera is ensured by the design. Box Dimensions (LxWxH) 5.25 x 4.15 x 1.75"